Light enters the human body primarily through the eyes where photoreceptors convert the waves to electrical stimuli and forward them to the brain. Each unique current is carried through albumin in the blood to all cells in the body. This ‘delivery system’ is nearly identical to the method moving chlorophyll through plants. Our skin is wonderfully light absorbent and our opaque skull bones allow significant amounts of light waves to be taken in. It is well accepted that each color has its own frequency, qualities and emotional response. From the age of 4 months, humans are able to discern differences in color and form. Creating its visual perception maps, the brain stores every image, color and sound it senses. Each time a similar wave pattern is received the brain adds it to the databank, giving us extensive memory around every color. Each experience of a color will influence our next experience. If a stress occurs where the color red was dominant, each time the person sees red, that memory will be triggered and added to the emotional response around red. Memories may be consciously forgotten, but they are stored and influence your response to color. Everything in life is about vibration and balance. Each cell and organ vibrates at its own specific level and emits its own optimal color when it is in balance. Out of balance from light deprivation or stress, that color frequency mutates, throwing itself out of alignment with the rest of the body. Occurring over a period of time, dis-ease or illness develops. In color therapy the corrective or complimentary color, is applied, supporting the re-establishment of health and balance. The body is once again returning to harmony. Specifically, when the body is deprived of light for a sufficient amount of time neurons in the brain begin to die, causing further damage to the body. Large amounts of research now show the light deprivation has a direct relationship with the development of cancer (skin, breast, prostate, lung to name a few). 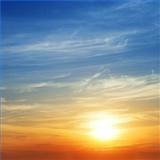 In fact, current research shows that extended exposure to sunlight can actually help eliminate cancer cells. Brain disorders, bone density loss, dental cavities, circadian rhythm dysfunction and many other diseases are also linked to the loss of essential nutrients, including Vitamin D, when the body is not exposed to direct sunlight.